I have been working on Dynamics 365 portals (previously ADX portals) for some time now and recently I got a question on how to enforce Password restrictions during user self registration or redeeming invitation. Suppose your requirement is to enforce the below password restrictions for your portal users. Thinking now that I would start writing lots of lines of code. Well its exactly the reverse. Just got to CRM –> Portals –> Site Settings and then create few site settings records as shown in the below screenshots. If the site-settings are already present, do not re-create. Instead adjust their values accordingly. 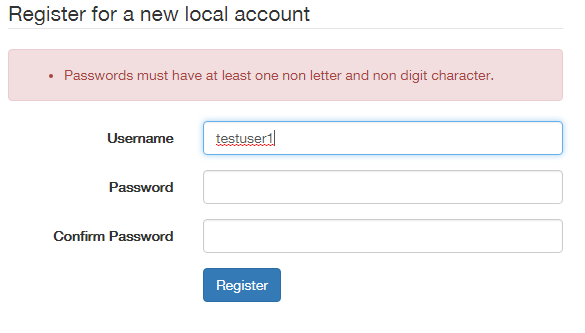 For Requirement – Password must be more than 8 characters long create a site setting with the below information. For Requirement – Should contain at-least one uppercase and one lower case letters. All set and done. 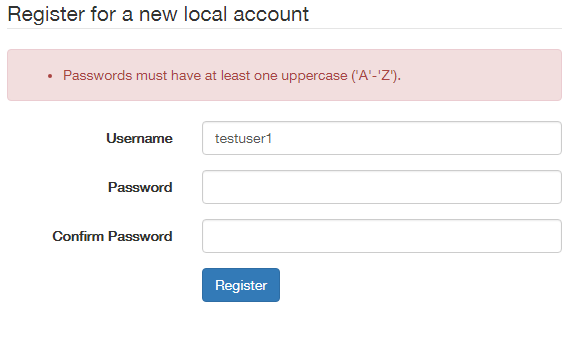 Just refresh the ADX portal and now when the user tries to register, gets an appropriate depending on the entered password.